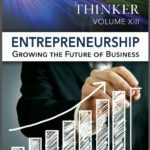 Welcome to The Refractive Thinker®: An Anthology of Higher Learning. Thank you for joining us on our maiden voyage to celebrate the accomplishments of these doctoral scholars affiliated with the University of Phoenix School of Advanced Studies. The purpose of this anthology is to offer a glimpse into the scholarly works of these authors. The intent is to provide a forum for them to share their thoughts and expertise as they contribute to the expanse of knowledge in pursuit of the tenets and philosophies of higher learning. 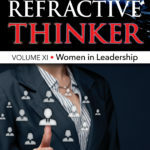 The title of this book, The Refractive Thinker® was chosen intentionally to highlight the ability of these doctoral scholars to bend thought, to converge its very essence on the ability to obliquely pass through the perspective of another. The goal is to ask and ponder the right questions; to dare to think differently, to find new applications within unique and cutting edge dimensions, ultimately to lead where others may follow or to risk forging perhaps a new path all entirely. Leaders ultimately change the world simply by questioning the very process of thought and life itself. They are insatiably curious, never satisfied or content with what is, always looking to the horizon and asking the fundamental question of why— with the goal to perhaps arrive at a better place than where they began—forever changed by the very act of asking questions. They dare to question themselves and ask why not? And what can they do to be an agent of change? 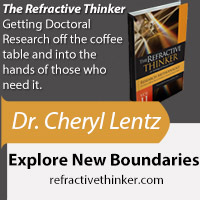 The Refractive Thinker® offers this discourse, a place where these authors offer a chapter of their work so the audience can sample a mere bite of the apple with the hope of being given a broader canvas from which to paint further. I invite you to join with me as we venture forward to showcase these authors of the first edition with our eye toward future editions as a forum to share more of the esteemed work of these colleagues and future authors. 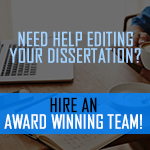 The goal is to offer a chance to bring to publication more ideas from which the audience may be interested in the expertise and guidance that they offer. Please contact me for further information regarding these authors and the works contained within these pages. Perhaps your organization may be looking for their expertise to incorporate as part of your annual corporate meetings as a key note or guest speaker(s), perhaps to offer individual or group seminars, or require their expertise as consultants. We look forward to your interest in discussing future opportunities. 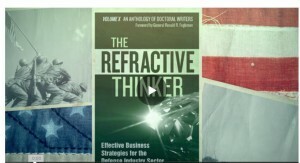 Let this be our beginning to which The Refractive Thinker® will serve as our guide to this and future editions. Do more authoritative leaders produce better organizational performance? Harvey (2002) suggested that the fundamental goals of capitalism may be inconsistent with the value component of normative leadership theories. Citing historical proponents of capitalism such as Adam Smith and Milton Friedman, Harvey described the leadership component of organizations under this economic perspective as egoistic. 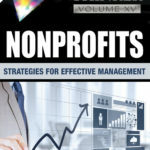 Chapter 2: The Value of Value Stream Mapping Presentations and Workshops: How any organization can save time and money - Increasing profit!!! A Value Stream Map (VSM) is a Lean tool used to create a map of the material and information flow for any manufacturing or administrative process. It defines every task involved in a complex program statement of work to identify inefficiencies, eliminate roadblocks, and generate simpler, more efficient business practices (Rother & Shook, 2003). Pursuing a career is a dream. Through the years, educators, lawmakers, politicians, community leaders, business owners, and taxpayers have contributed with ideas, funding, and a kind heart to ensure continued access to education. The availability of student financial aid programs in the form of federal, state, institutional, and private sources of student financial aid have contributed to transforming these dreams into reality. Research indicates that little is known about the relatively new field of knowledge management (Williams, 2003), particularly between the relationship of organizational culture type(s) and knowledge management initiatives (Lawson, 2004). 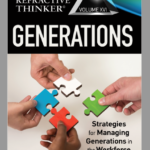 Organization leaders need to understand the significance of people and organizational culture types in relationship to knowledge management initiatives. Some organizations may even have cultures that inhibit knowledge management practices. 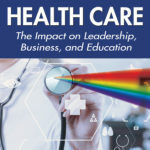 Small institutions of higher education (SIHE) represent a unique culture in an increasingly vulnerable sector within the U.S. higher education industry (Breneman, 1994; Kirp, 2003b; Logue, 2003). These private colleges and universities, including liberal arts colleges, reflect a distinctively American commitment to undergraduate education.